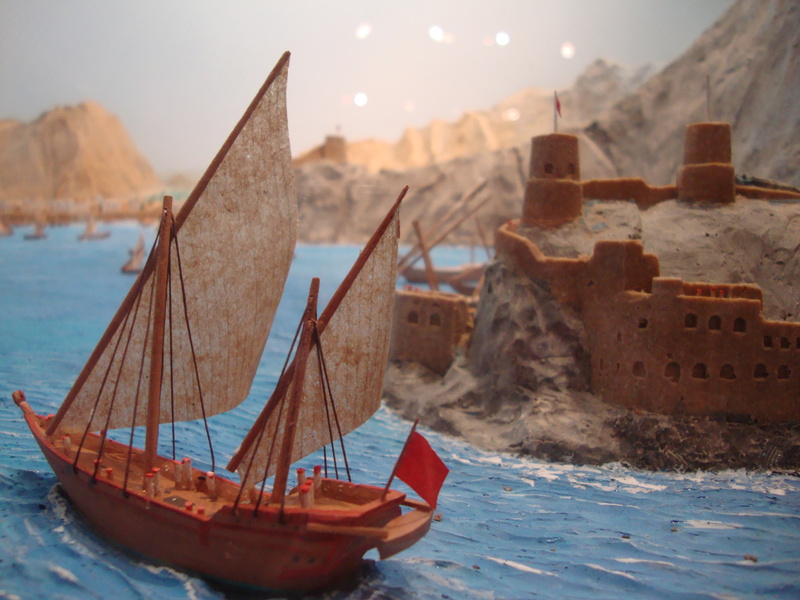 The Omani French Museum is a great way to learn a lot about Oman’s history, not just about the history between Oman and France (as some may assume from the name of the museum…). There were plenty of stamps on display in the museum. 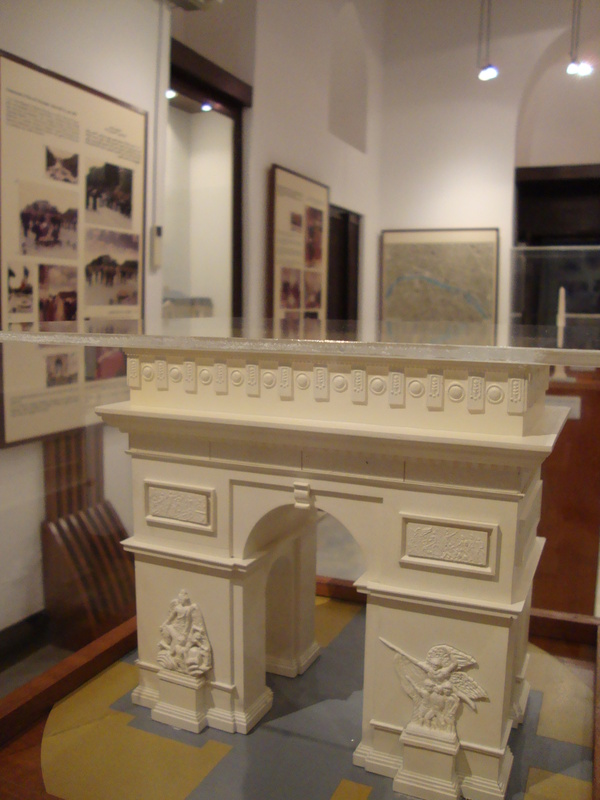 Scale model of the Arc de Triomphe Scale model of the Obelisk of the “Place de la Concorde” A group of Republican Guards They have a map of Paris showing all the places that Sultan Qaboos visited while in Paris on his trip to France May 30 – June 2, 1989 including plenty of photos and descriptions. There are many photos with descriptions in English, French and Arabic of then President of France, Francois Mitterrand, during his trip to Oman in January of 1992. 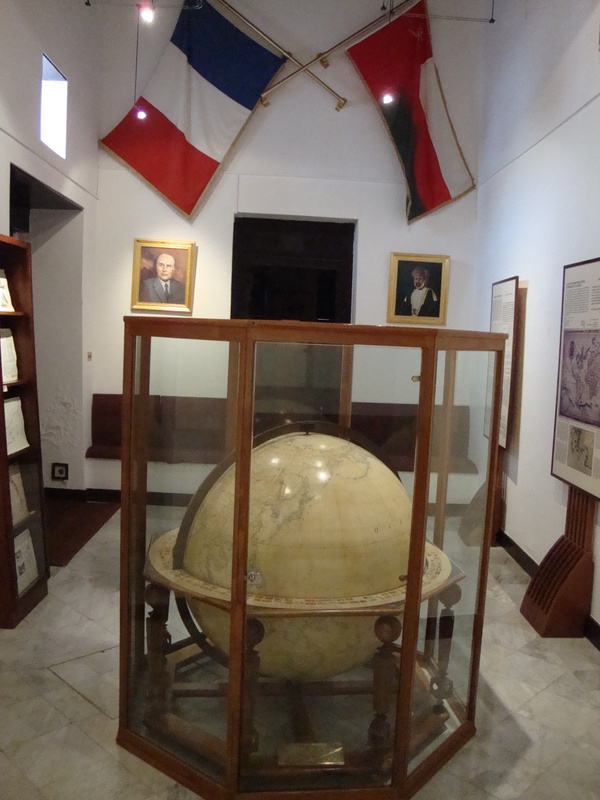 It was during his 3-day trip here that he and Sultan Qaboos officially opened up the Omani-French Museum. 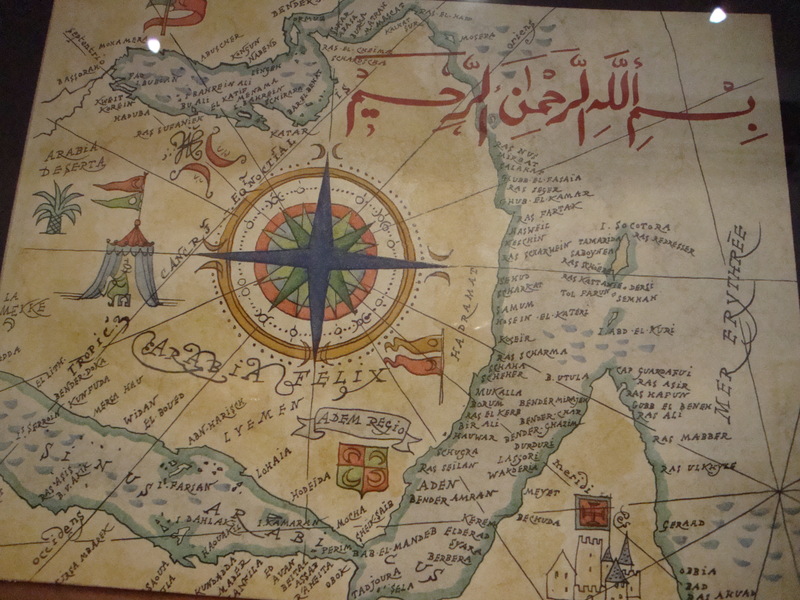 An ancient French map of Oman in which this entire region used to be referred to as “Arabia Felix” or “Happy Arabia”. 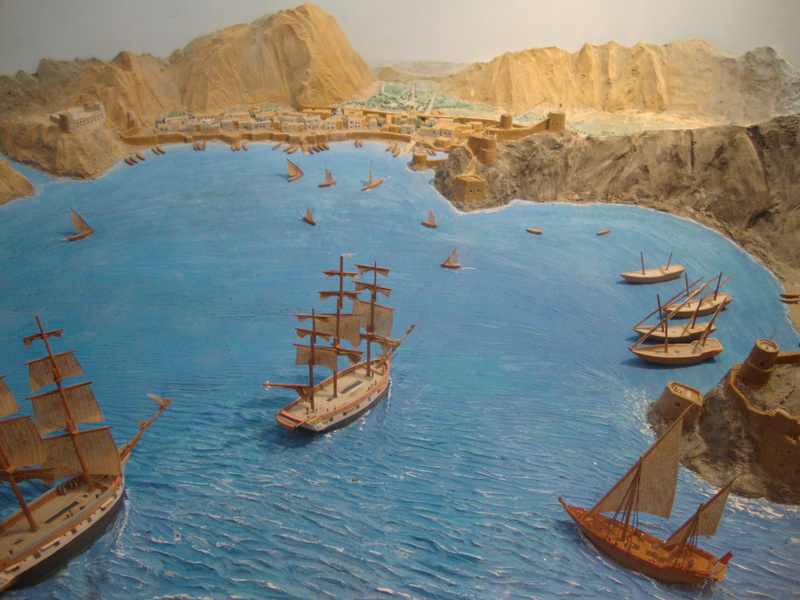 A scenic representation of Muscat as it would have appeared in the 18th and 19th Centuries from the entrance of the Cove An 18th Century French map of the bays of Sidab, Muscat and Mutrah General Bonaparte wrote a friendly letter during his Egyptian campaign to the Sultan of Oman, which was intercepted by a British agent. Alerted, the British signed a treaty with Sultan bin Ahmed in 1789 which compelled him to stop trading with the French colonies. 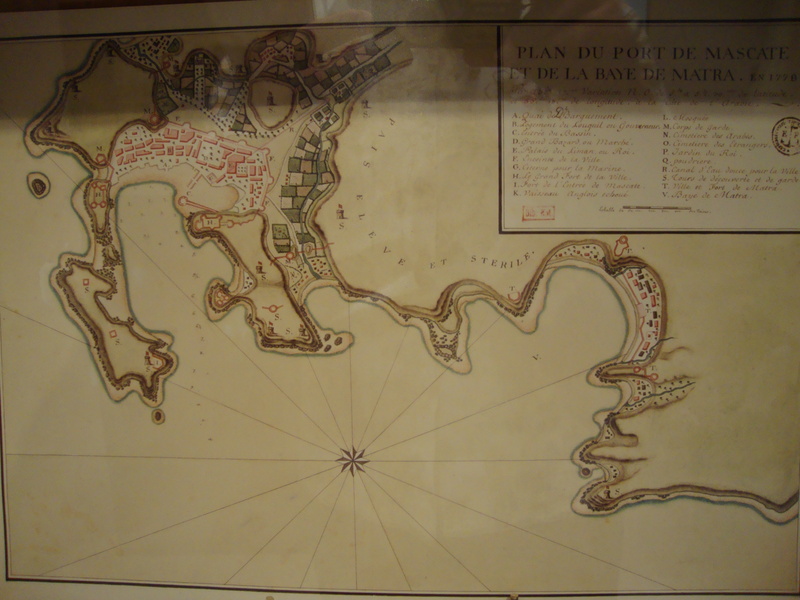 Thanks to Ile de France governor Magallan, relations were not broken between France and Oman. And when the Imam of Muscat expressed the wish to welcome an agent of the French government, Bonaparte decided to send Mr. Cavaignac to represent him in Muscat. 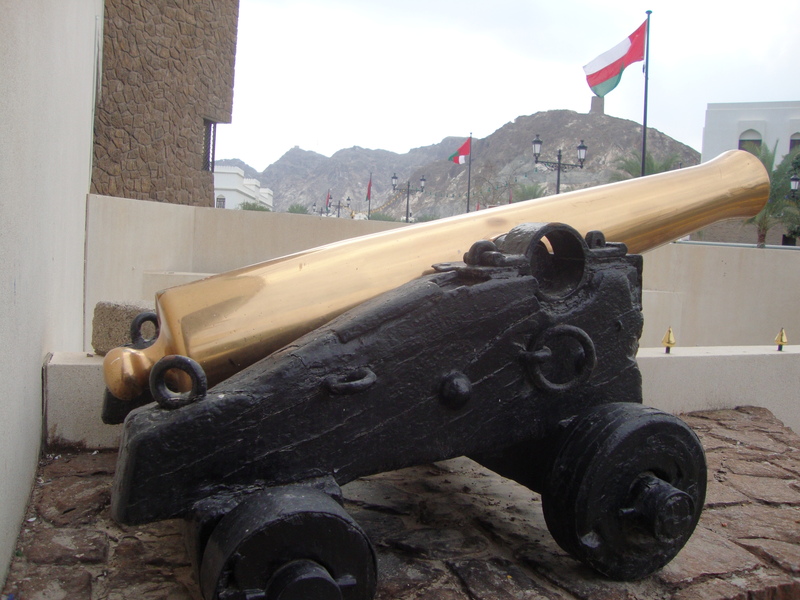 Upon his arrival in 1803 with his secretary, Mr. Vasse, in Muscat Harbour, war had broken out anew with the English. 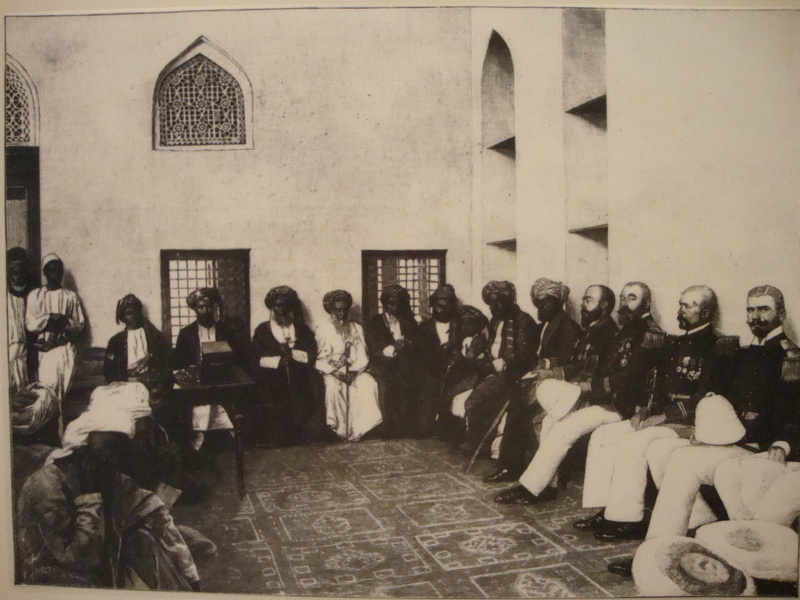 In the face of the Sultan’s hesitations, worried as he was about the British reaction, the French renounced their mission. 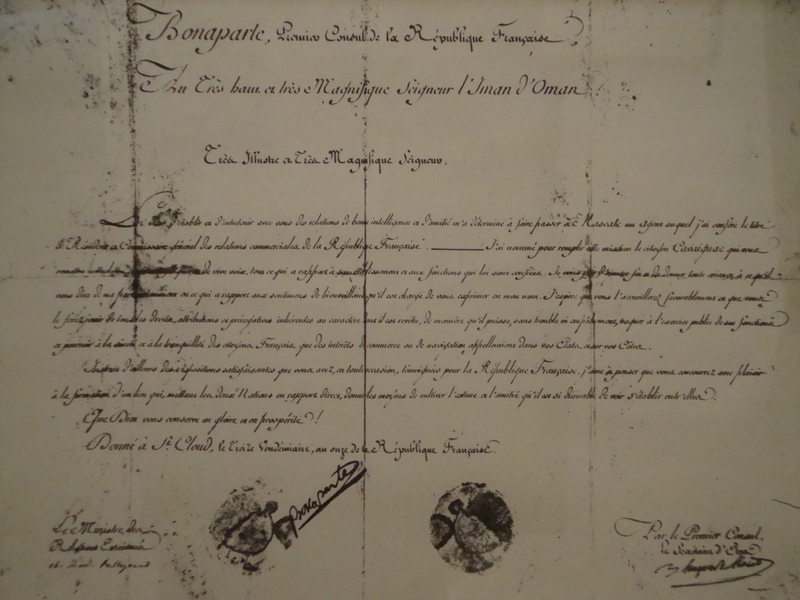 (The above photo is of the letter of credentials signed by Bonaparte accrediting Cavaignac as Resident and General Commissioner for trade relations between France and Oman, October 1802.) 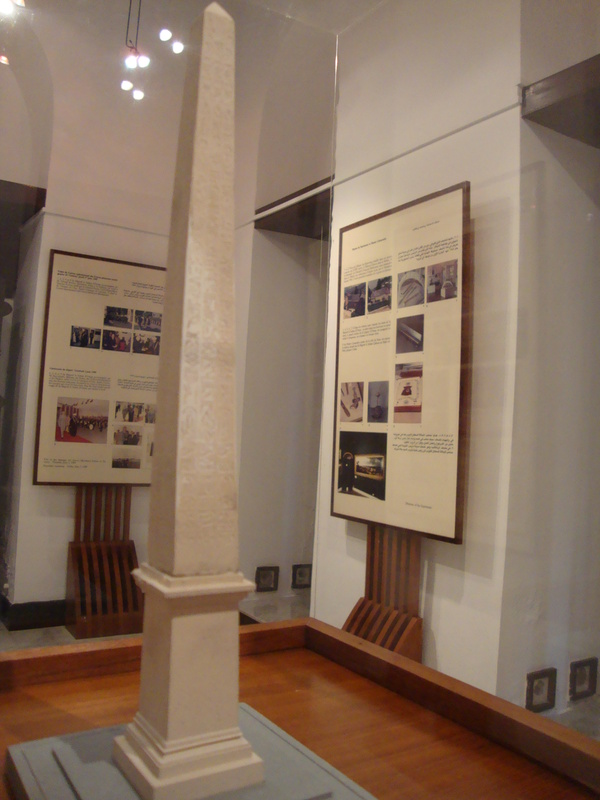 A replica of one of Napoleon’s swords. 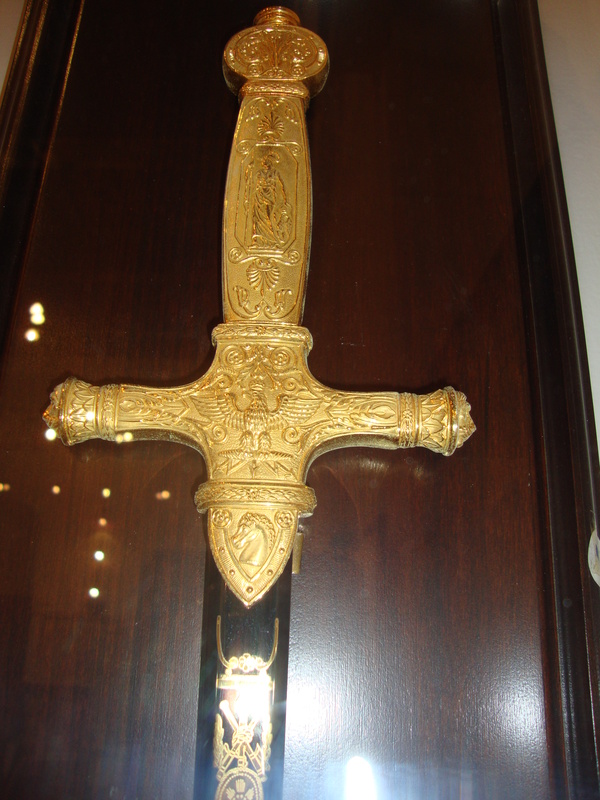 Not the original sword of Napoleon of course, which sold for a record $6.5 million. 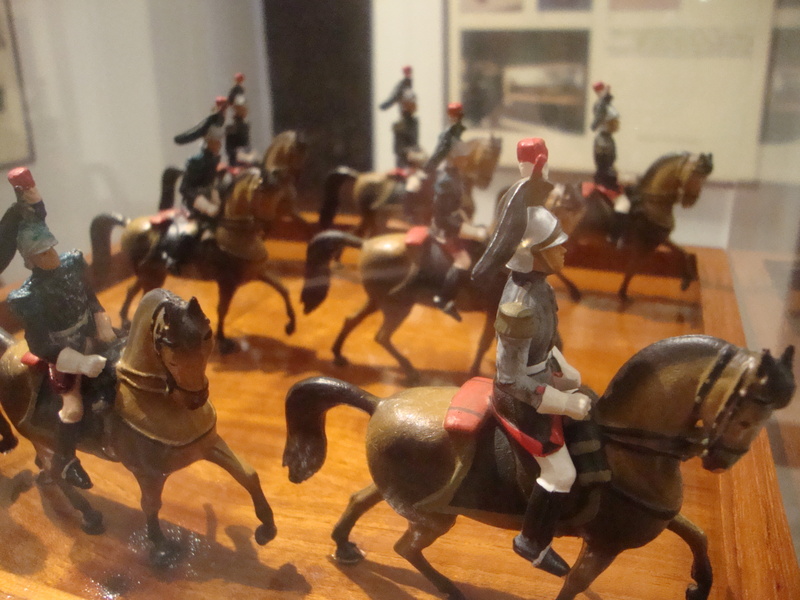 (Inspired by curved Arab swords which he noticed were very effective for cutting off French heads!) Preliminaries to the signature of the 1844 Treaty between France and Oman. 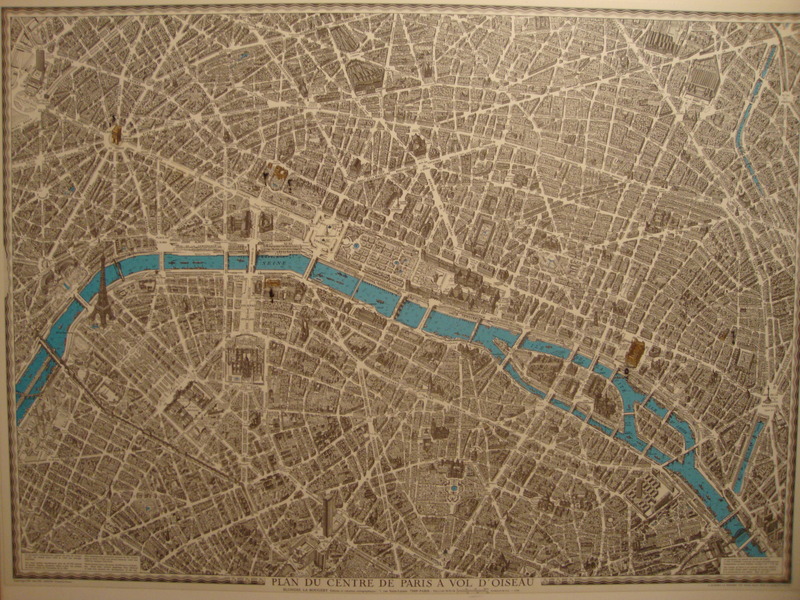 The scene was painted by Louis Lebreton, the French fleet’s official painter. 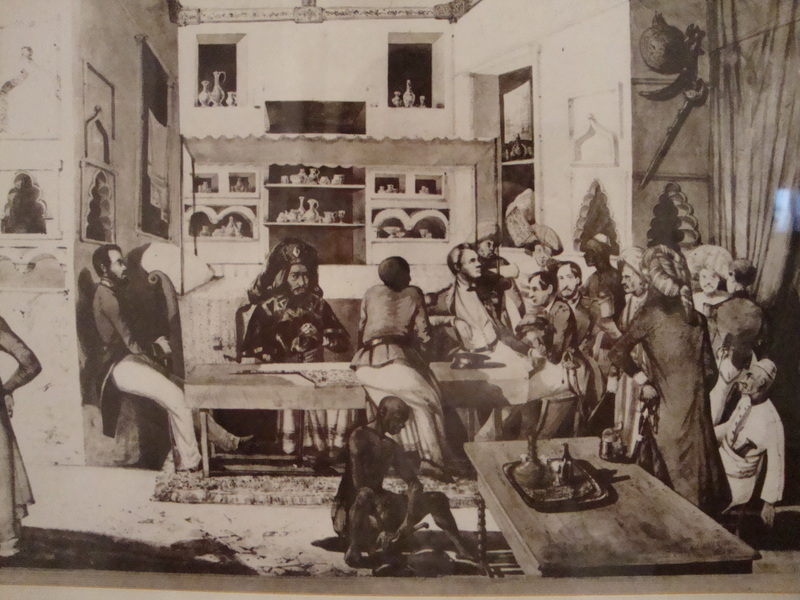 An illustration of Sultan Faysal bin Turki’s reception of the French mission headed by Captain Ferre de Peroux – commanding the sloop Scorpion – whose task was to bring presents to the Sultan on behalf of France. 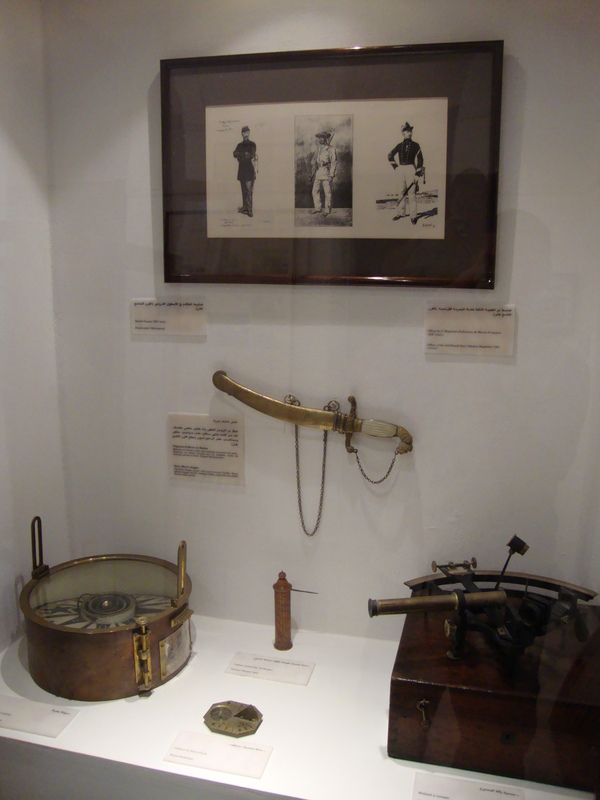 (May 27, 1899) An example of some of the ancient equipment at the museum, including marine compasses and sun dials. 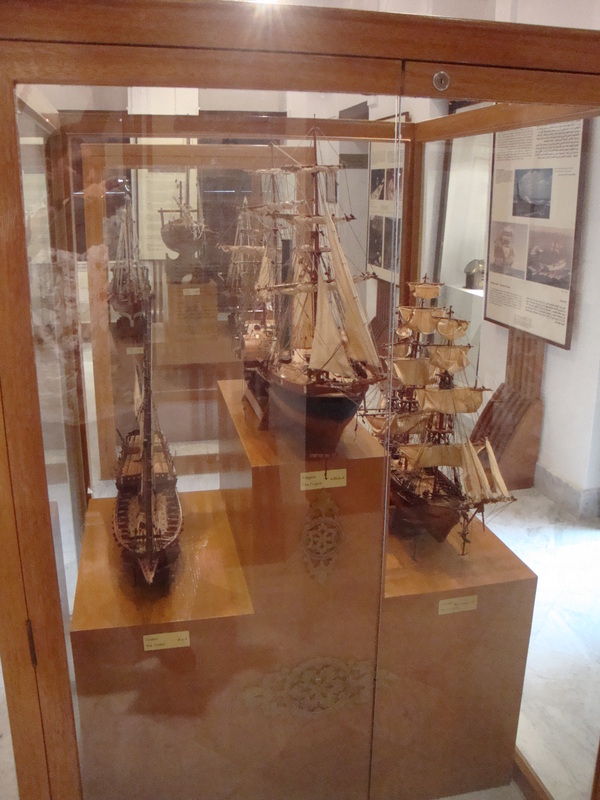 Models of actual ships involved in trade between France and Oman centuries ago A “dungiyah” from the Pakistani Gulf in Muscat Harbour, 1838. (“DUNGIYAH. 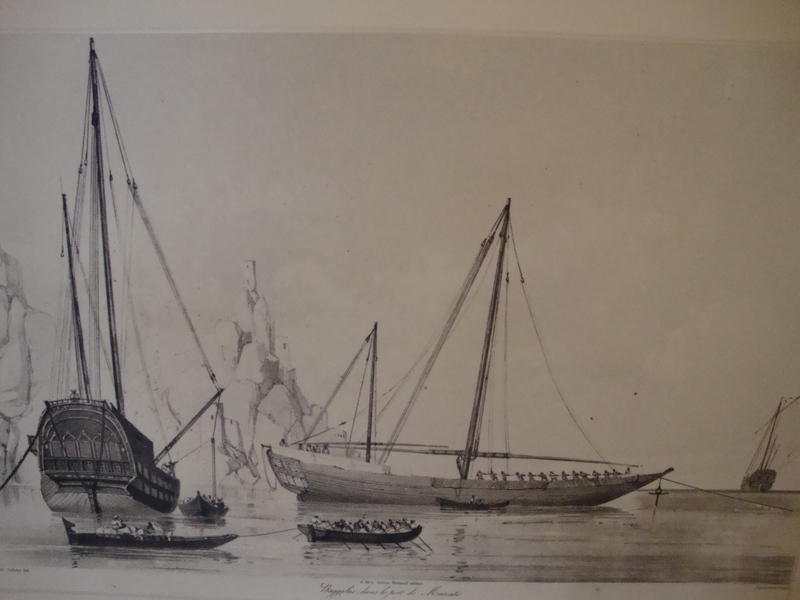 A broad-beamed flat-bottomed Arabian coaster trading between the Red Sea, Gulf of Persia, and the Malabar coast.”) “Baghala” (ancient boat style) in Muscat Harbour, 1838. 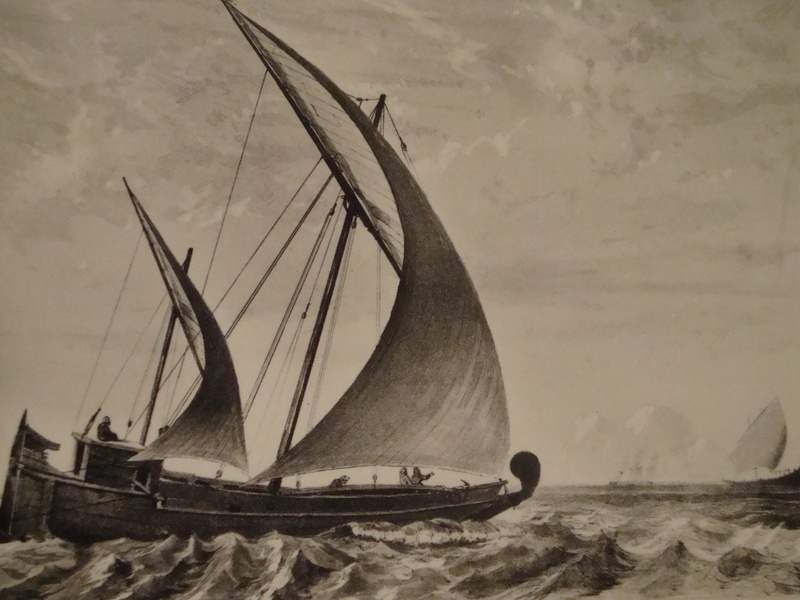 The Shabab Oman is the largest of the last wooden-keeled ships still afloat. It is a three-mast schooner with a 44-meter hull 845 square meters of sail. The crew is made up of 7 officers, 25 sailors and 20 cadets. 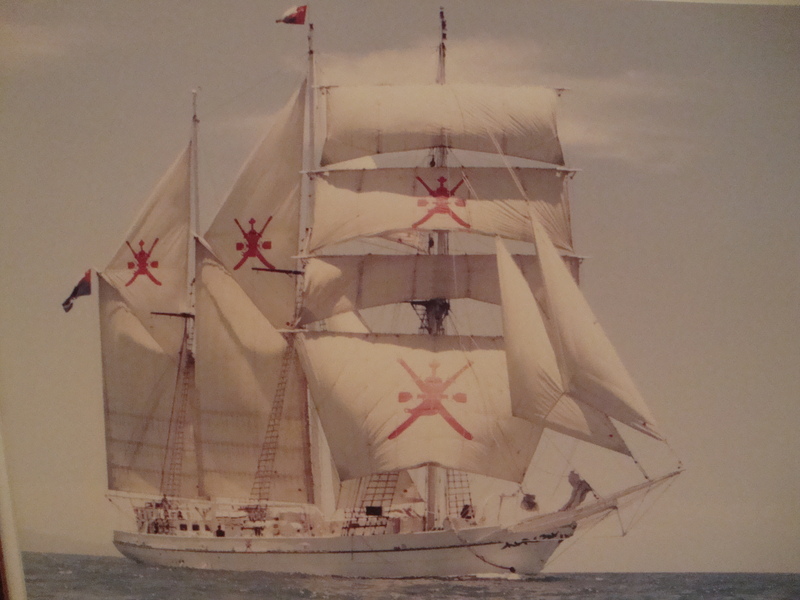 Built in 1971 in Scotland, the Shabab Oman sailed to the United States in 1986, to Australia the next year and to France to take part in the 1989 French Revolution’s bicentennial celebrations. 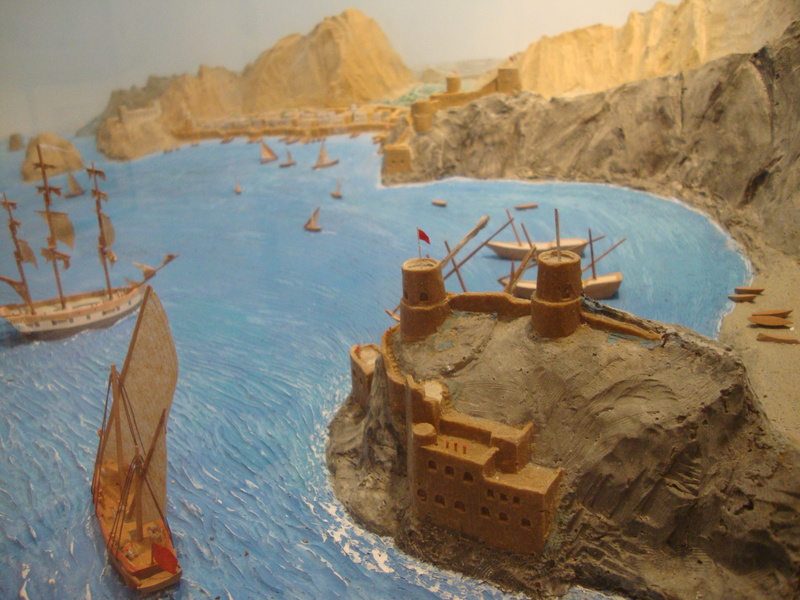 Omani sailors have proved their aptitudes and courage in the Gulf and Indian Ocean waters since the farthest antiquity, dating back some 4,000 years. 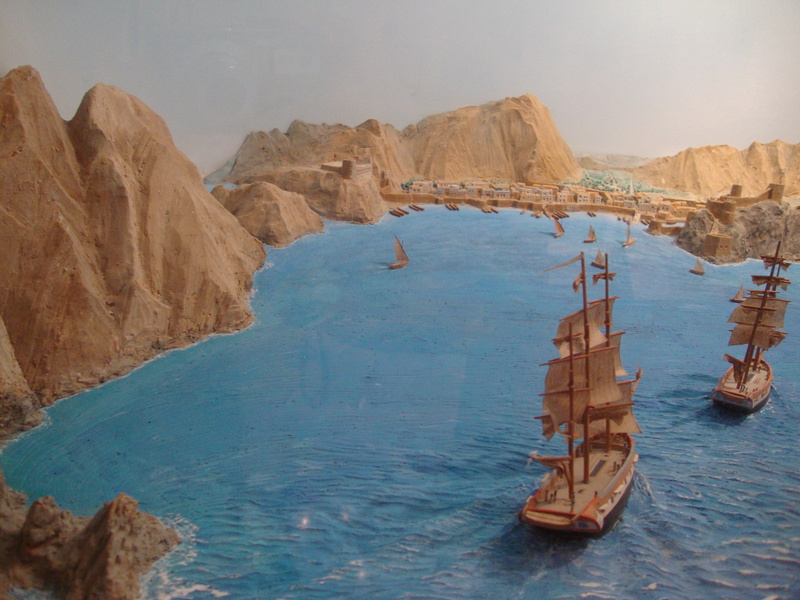 This ancient maritime activity rests on a proven naval carpentry technique. 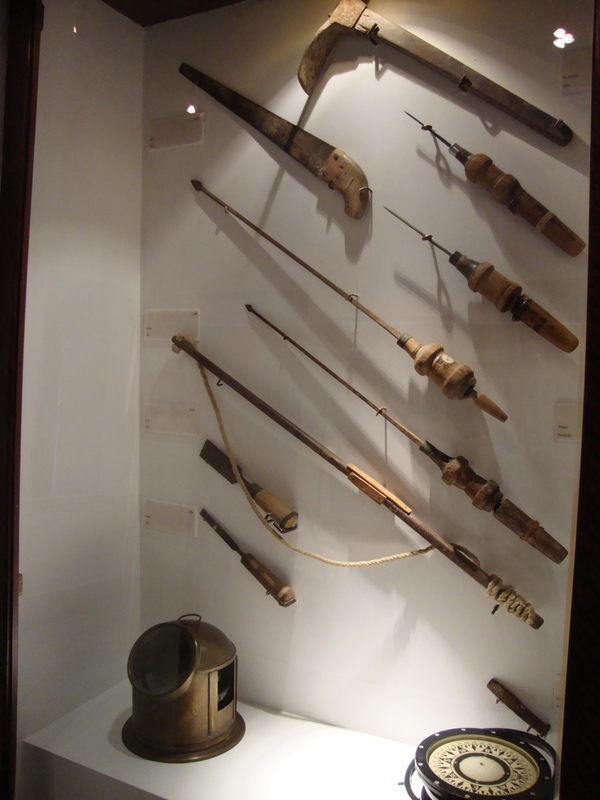 It allowed the Omanis to create the types of boats required for their sea-going needs: fishing, coastal trade, sea and ocean journeys. 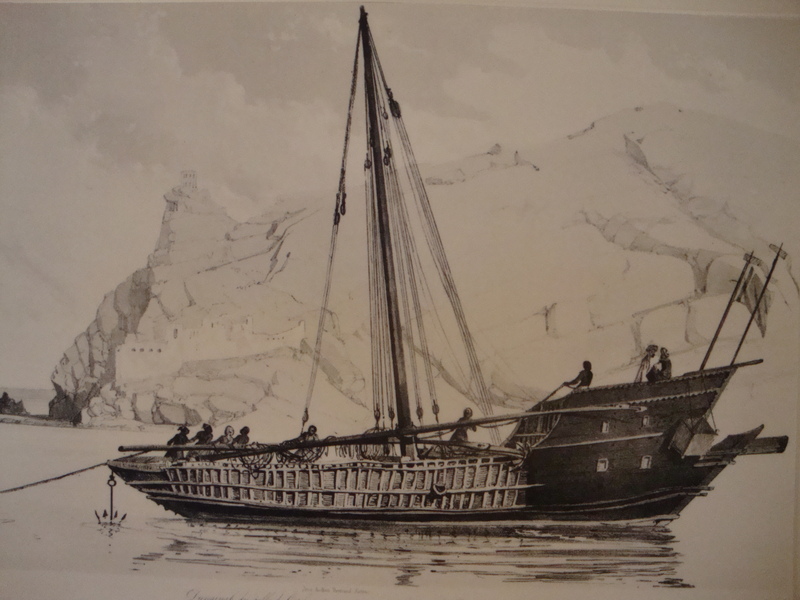 Omani warship known as the “Garuk”, 1838. 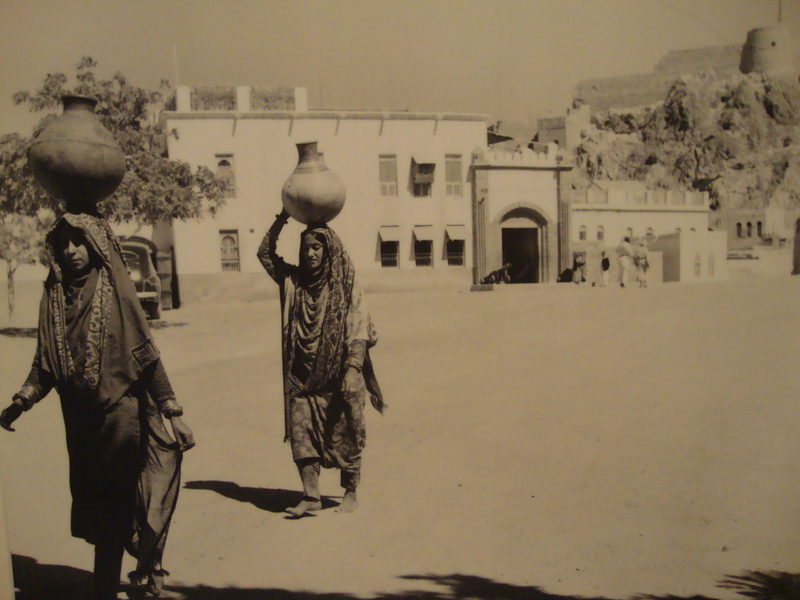 A picture from September 1955 showing women carrying waterpots in Muttrah with the office of the “Wali” in the background. 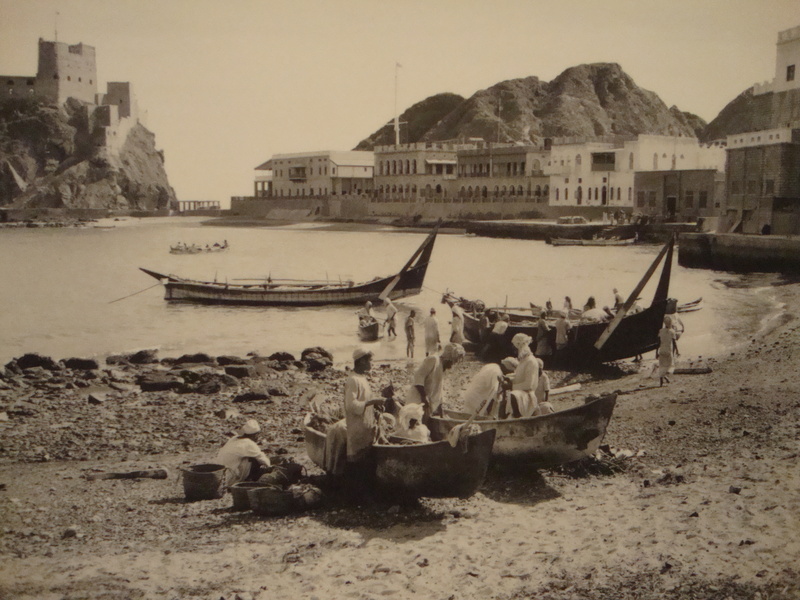 “Badans” and “Houris” (traditional dhows) arrive at Muscat beach in front of the old Al Alam Palace, May 1957. 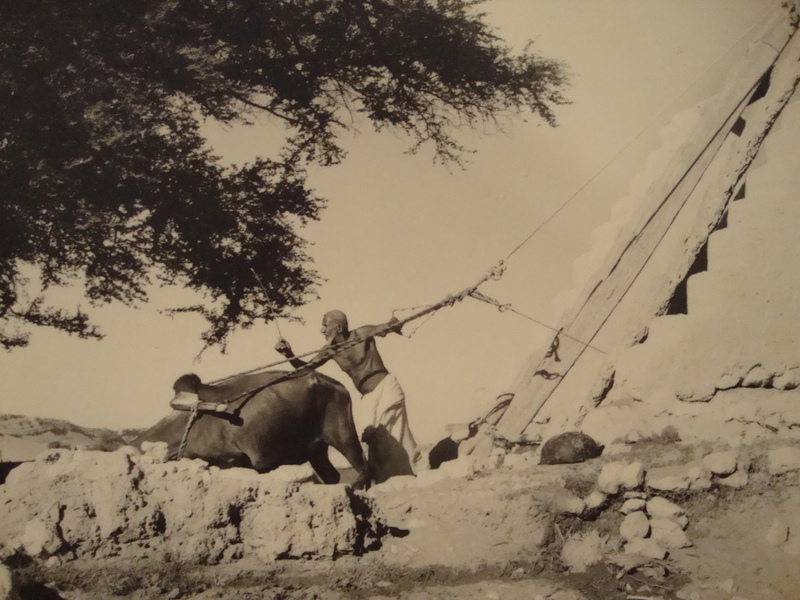 “Al-Zajira” or “Al-Manjoor” was a common method of drawing water from wells by bullock power to pull a skin bag full of water to the top of the well. It was then emptied into a pool and fed into irrigation ditches. 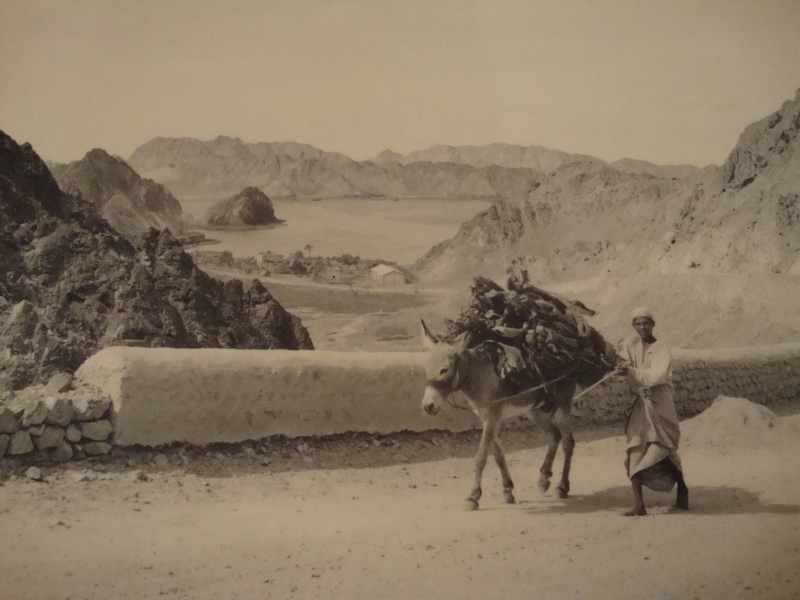 (Ibri, December 1955) Carrying firewood from Riyam to a firewood suq near Al-Khour mosque in Muscat, May, 1957. 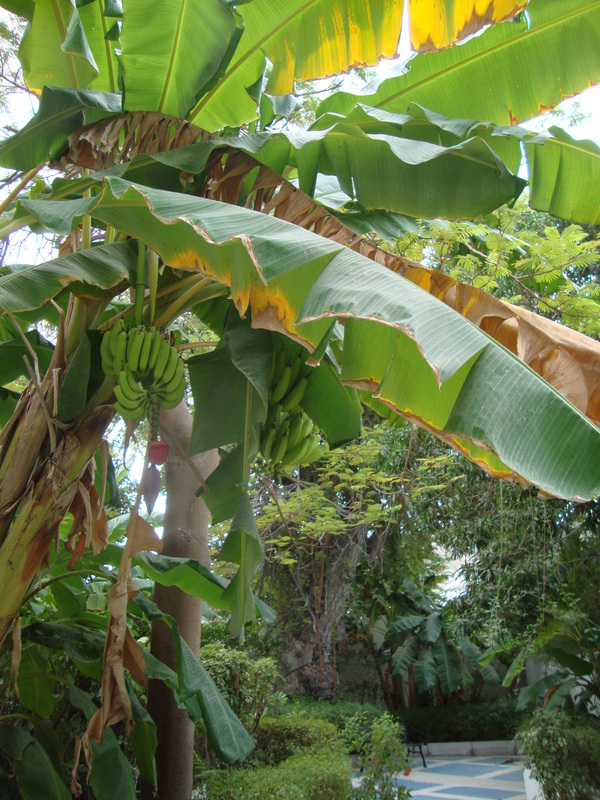 The top floor of the Museum Plenty of gorgeous banana trees and benches in the courtyard of this beautiful building, make it an ideal rest area before or after a visit to the museum. 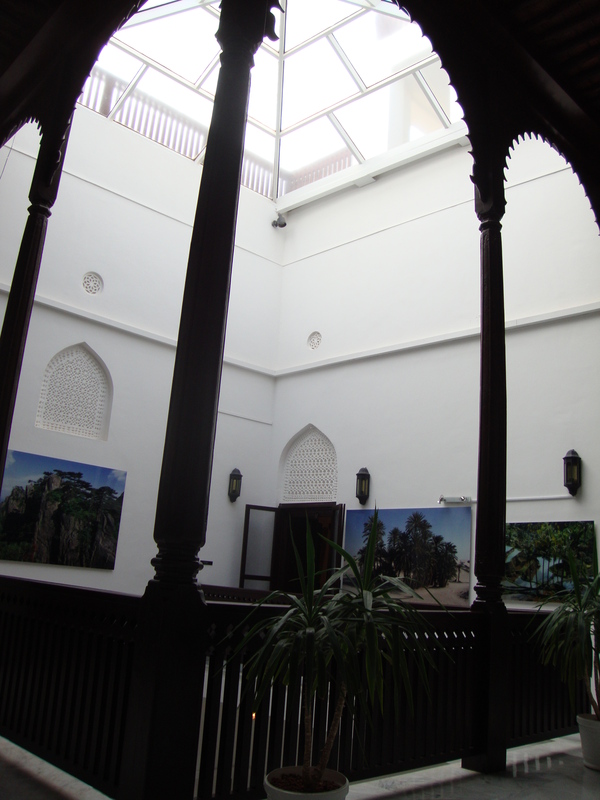 The Museum itself is located in the building which used to be the 1st French Embassy in the Sultanate. 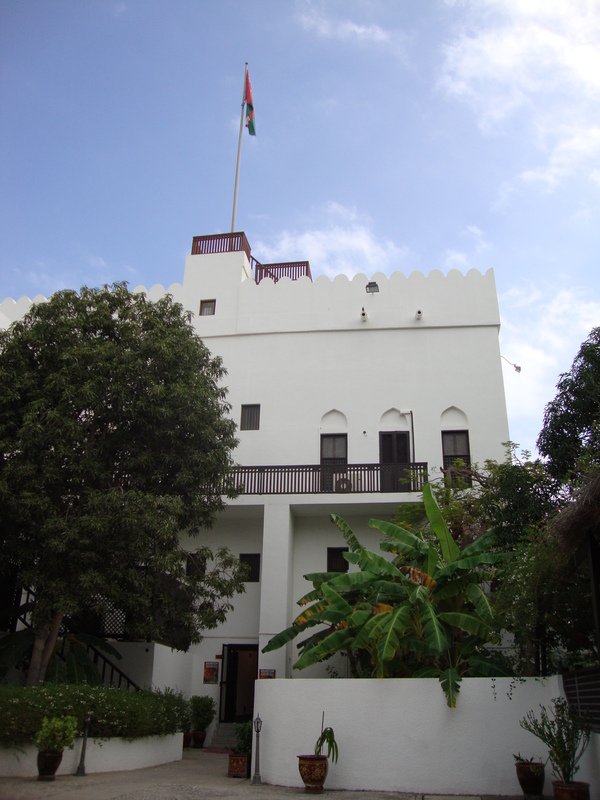 Before that, this white building was a palace which was then presented to the French Consulate by Sultan Assayed Faisal bin Turki in 1896. 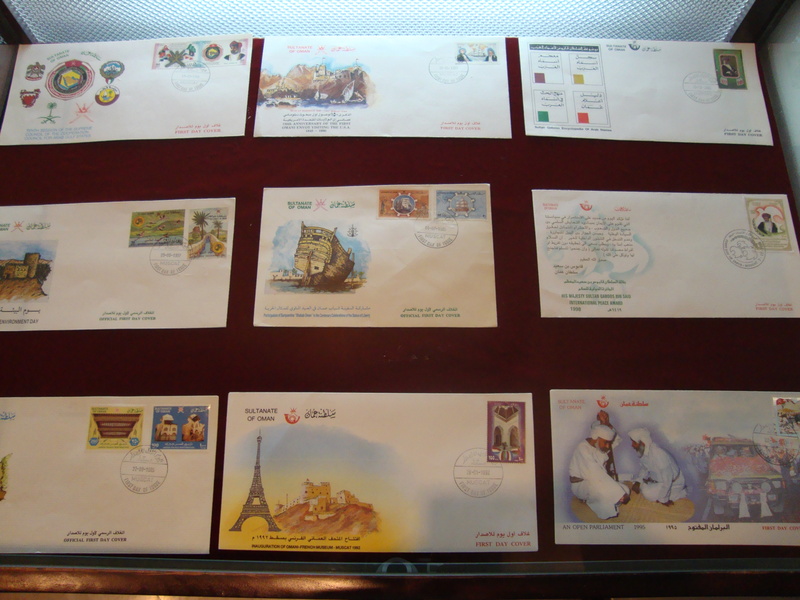 This entry was posted in History, Museums and tagged Batt Fransa, Bayt Franca, Beit Fransa, French in Oman, historical museum Oman, jeunesse d'Oman, Mascate, Musée franco omanais, Muscat museum, naval history Oman, Oman stamps, Omani French Museum, Shabab Oman, Sultan Faysal bin Turki, things to do in Muscat. Bookmark the permalink. This seems like a wonderful place to visit. Thank you for sharing. I want to welcome you to my blog. Thank you for subscribing to follow it. I hope you are encouraged, inspired and enjoy the photos I take of life and events as I journey through my retirement years. 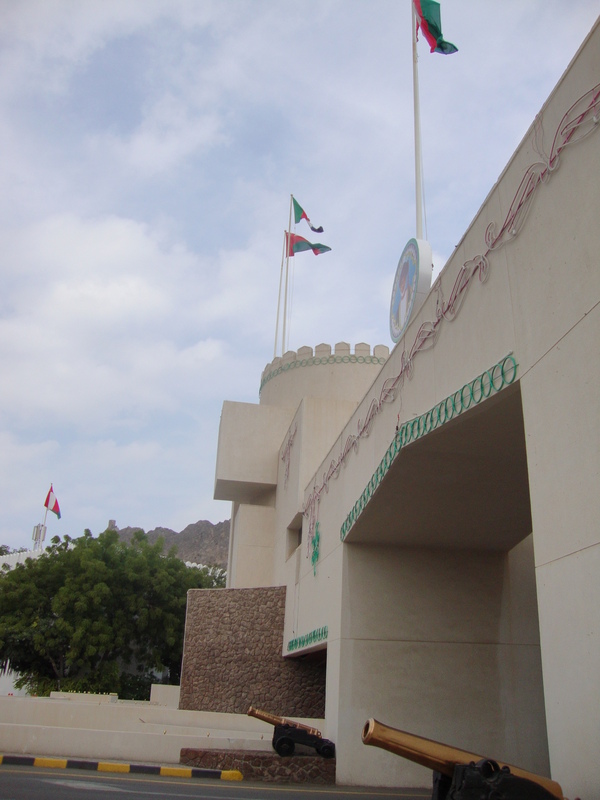 Congrats on being the 1st to comment on my “Omani French Museum post”! 🙂 This blogpost has been viewed countless times, but you’re the first to comment so thanks! It really is a beautiful museum and I’m glad that I was the only one in it at the time so I was able to take my time in each room. BTW, I’m glad to be subscribed to your blog. It’s always interesting and your photography is fantastic! Keep up the great work and God bless! A wonderful and informative post. Your photos are amazing. 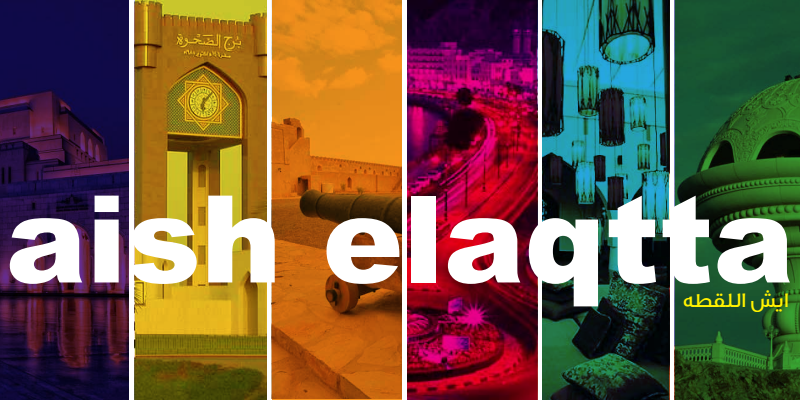 Thanks for sharing and visiting my blog. 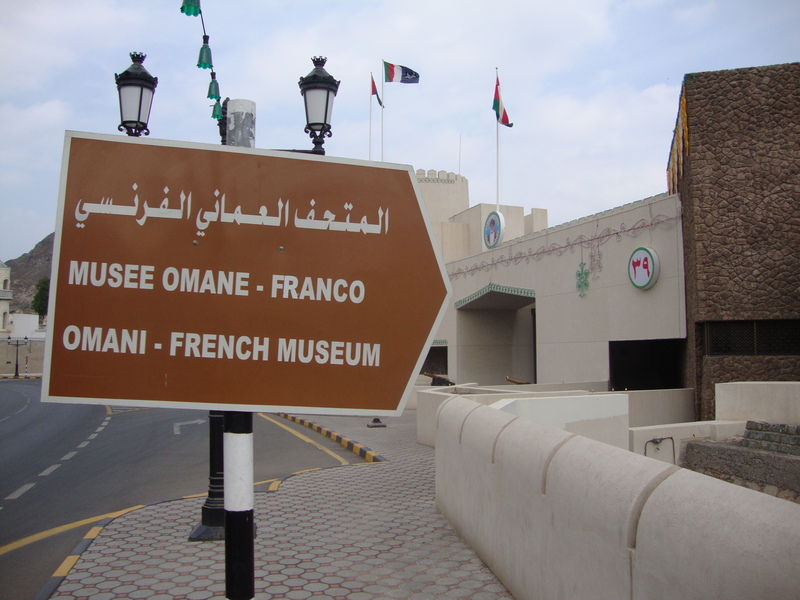 You definitely should try to get to the Omani French Museum on your next visit here. As you wrote, it really is a fine country and museums are a fabulous way of knowing more about this fascinating place. Thanks for taking the time to comment. Cheers!